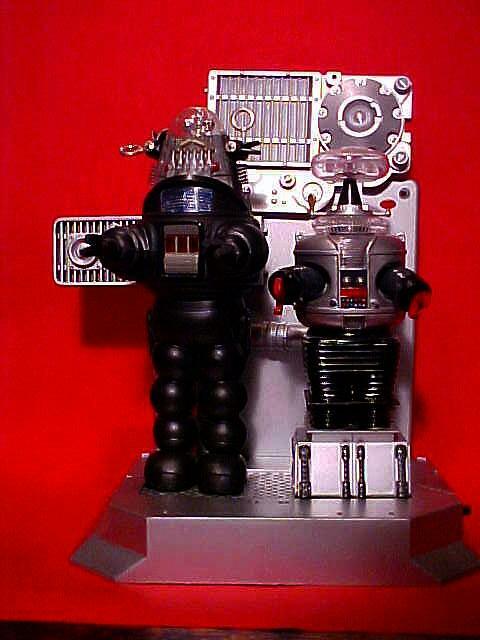 Robots from the Polar Lights Model Kit constructed with fine skill & details! 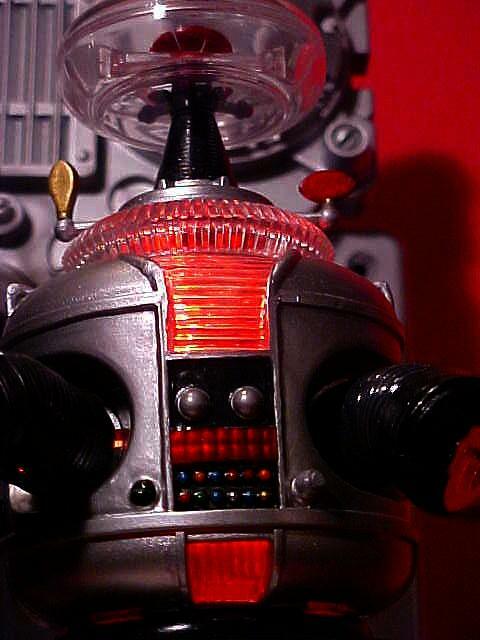 From the episode on the Lost in Space television series War of the Robots! 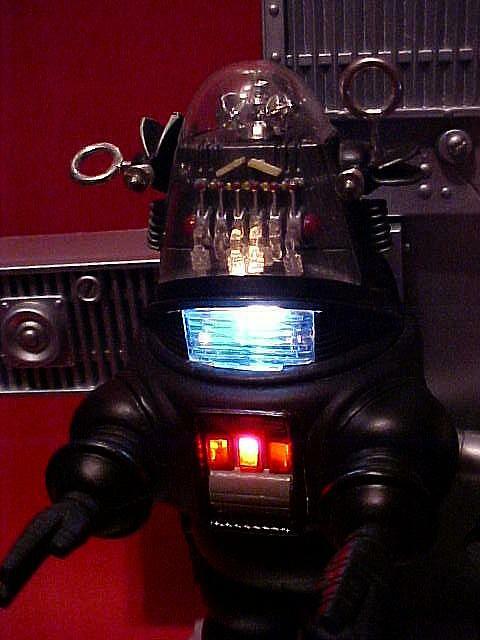 Robby has the chest control-plate from that episode detailed with cut see-thur red-plastic shows thur with light plus the blue chest-light! LIS-Robot lights-up red thur all clear plastic & has special red-plastic across square-buttons with many other assorted details. Battery unit on back of stand holds eight newly provided AA-batteries with on-off switsh on side of dispaly stand! 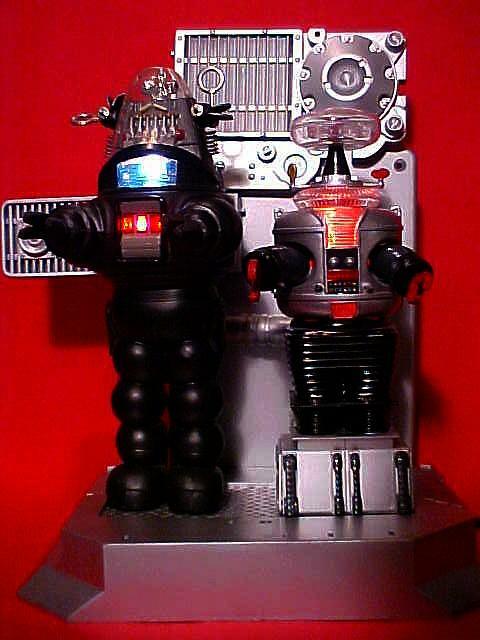 Robots are bolted to stand for sturiness along with display stand connecting parts. 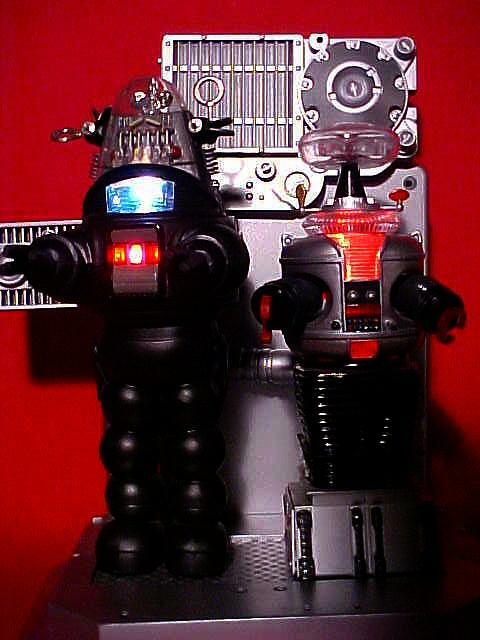 Here we have two of the most recognized Robots in SCi-Fi History! 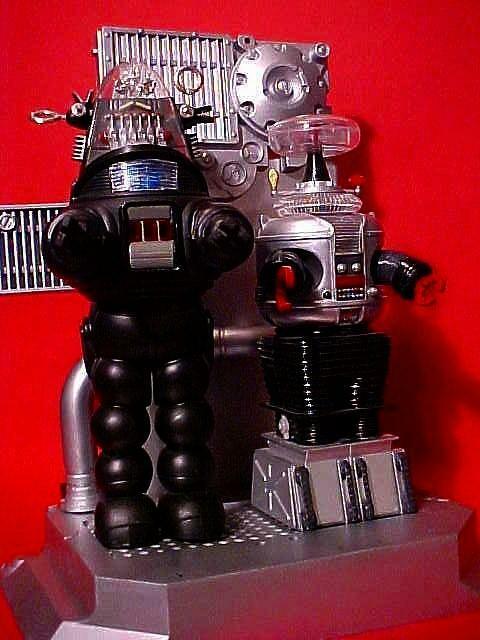 Collection piece By pro-modeler for the collecting Lost In Space Super-Fan! Another creation by Jerry Von Mueller of New York City!